"Senator McCain, given the part deregulation has played in the current economic crisis and your support of a massive government bailout of the financial industry, are you now ready to reassess your support of legislation that deregulated the banking system and financial industry?" "Senator Obama, given the part deregulation played in the current economic crisis would you support eliminating the Enron-Loophole legislation and support restoring the 1933 Glass-Steagall Act, the 1956 Bank Holding Company Act, the 1968 Truth In Lending Act and other financial system regulatory legislation that John McCain has actively sought to eliminate during his time in Congress?" Similarly, other candidates who will appear on Collin County ballots should be question whether they firmly accept or now question Pres. Reagan's anti-government and anti-regulation philosophy of governance. Conservatives like Republican incumbent for the U.S. 3rd Texas Congressional District, Sam Johnson, age 78, Republican incumbent for the U.S. 4th Texas Congressional District, Ralph Hall, age 85, and Republican incumbent Senator John Cornyn have all joined Republican presidential candidate Senator John McCain, in an avid push to fully deregulate the American financial system and return it to a 1920s-era environment. Johnson, Hall and Cornyn should be asked if they are ready to reassess their votes to deregulate the banking system and financial industry or do they continue to favor yet more deregulation. 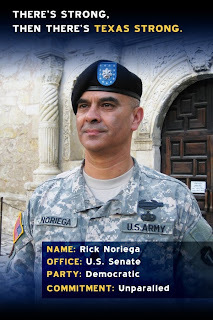 Rick Noriega, the Democratic Candidate running for the U.S. Senate seat to replace incumbent John Cornyn, Tom Daley, the Democratic Candidate running for the U.S. House of Representatives 3rd Congressional District seat to replace incumbent Sam Johnson, and Glenn Melançon the Democratic Candidate running for the U.S. House of Representatives 4th Congressional District seat to replace incumbent Ralph Moody Hall each state in their campaign literature that they believe Republican deregulation has gone too far and some regulatory oversight should be restored. Cafferty: If Palin "Doesn't Scare The Hell Out Of You, It Should"
"If John McCain wins, this woman will be one 72-year-old's heartbeat away from being president of the United States, and if that doesn't scare the hell out of you, it should," CNN's Jack Cafferty said. National Review's Kathleen Parker writes that the hockey mom / Governor Palin actually might not be ready to be a heartbeat from the presidency. In her column on the conservative magazine's Web site Friday, Parker notes Palin's life story sets her apart from traditional feminists, but she realizes that those superficialities alone aren't enough to prepare her for the White House. Unfortunately, as Palin's recent appearances reveal, she doesn't have much else to offer. Indeed, no presidential nominee of either party in the last century has seemed so willing to endanger the country's security as McCain in his reckless choice of such an unqualified running mate. McCain is 72 years old; has had four melanomas, a particularly voracious form of cancer; and he refuses to release his complete medical records. More than a million people have lost their homes through foreclosure in the last two years, and many of them are still registered to vote at the address of the home they lost. Now election officials and voting rights groups are struggling to prevent thousands of them from losing their vote when they go to the polls in November. Many of these voters will be disqualified at the polls because, in the tumult of their foreclosure, they neglected to tell their election board of their new address. Some could be forced to vote with a provisional ballot or challenged by partisan poll watchers, a particular concern among Democrats who fear that low-income voters will be singled out. That could add confusion and stretch out lines that are already expected to be long because of unprecedented turnout. Federal election officials say they are concerned that voters are not being properly informed of how to update their addresses. "Our biggest concern is that many of these voters will stay home or that poll workers will give misinformation," said Rosemary Rodriguez, the chairwoman of the federal Election Assistance Commission, which oversees voting. Todd Haupt, a home builder, lost his home in Josephville, Missouri, to foreclosure last year, and said he had since become much more interested in politics. But asked whether he had remembered to update his voter registration information when he moved into his parents' home in St. Charles, Missouri, Haupt, 33, paused silently. "Is that required?" he said. "I had no idea." Response to Washington's multi-billion dollar Wall Street bailout has involved a lot of skeptical grumbling in Germany and the UK. German Chancellor Angela Merkel says the Bush administration has mishandled Wall Street, and that its refusal to adopt stricter rules led to the current crisis. The United States government is campaigning around the world for support for its multi-billion dollar Wall Street rescue package. The reaction has been skeptical at best -- and in Europe the plan has been met with bare-knuckled criticism. German Chancellor Angela Merkel has accused the US government of serious failures which she believes contributed to the current credit crisis. In particular she blamed Washington for resisting stricter regulation. On Monday she also said the crisis could hurt the German economy. "The whole thing is going to set the pace for the economy in the coming months and perhaps years," Merkel said at a meeting of her party, the conservative Christian Democrats. In countries outside the US, teams of volunteers and organizers are working long hours to make sure Americans living abroad can vote if they want to. The traditionally low number of overseas voters may skyrocket this year. There are no reliable statistics for the number of expatriated Americans hoping to participate in this November's election. An estimated 5 to 7 million Americans live abroad, including military personnel. 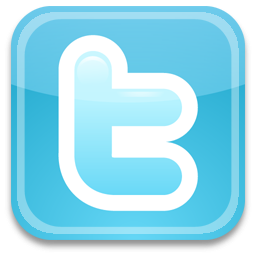 Observers have noticed a change in sentiment. Jody Couser, a spokeswoman for the registration group Democrats Abroad, said, "We don't have exact statistics, but I can tell you we're signing up thousands of people every week." In a CNN/Opinion Research Corp. survey released Tuesday Sept. 23, 56 percent of those questioned are backing the Democratic candidate for Congress, while 42 percent support the Republicans. The "generic ballot" question asked voters to choose between an unnamed Democratic candidate versus an unnamed Republican in the House race in their district. The CNN/Opinion Research Corp. poll was taken Friday through sunday, with 1,020 adult Americans questioned by telephone. Among likely voters, Obama now leads McCain by 52 percent to 43 percent, according to the latest Washington Post-ABC News national poll. Overall, most supporters of each presidential candidate said they are enthusiastic about their choice, but 62 percent of Obama supporters said they are "very enthusiastic," compared with 34 percent of McCain's supporters. More voters trust Obama to deal with the economy, and he currently has a big edge as the candidate who is more in tune with the economic problems Americans now face. He also has a double-digit advantage on handling the current problems on Wall Street, and as a result, there has been a rise in his overall support. Fully 50 percent called the economy and jobs the single most important issue that will determine their vote, up from 37 percent two weeks ago. Just over half of the poll respondents -- 52 percent -- believe the economy has moved into a serious long-term decline. Eight in 10 are concerned about the overall direction of the economy, nearly three-quarters worry about the shocks to the stock market, and six in 10 are apprehensive about their own family finances. Much of the movement has come among college-educated whites. Whites without college degrees favor McCain by 17 points, while those with college degrees support Obama by 9 points. No Democrat has carried white, college-educated voters in presidential elections dating back to 1980, but they were a key part of Obama's coalition in the primaries. ST. PETERSBURG — Five weeks ago, the St. Petersburg Times convened a group of Tampa Bay voters who were undecided about the presidential election. 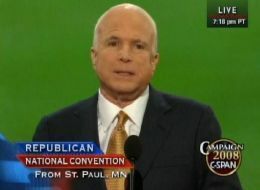 Their strong distrust of Barack Obama suggested it was a group ripe for John McCain to win over. Not anymore. The group has swung dramatically, if unenthusiastically, toward Democrat Obama. Most of them this week cited the same reason: Sarah Palin. 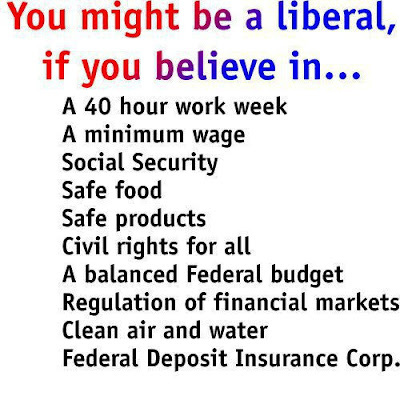 "The one thing that frightens me more than anything else are the ideologues. We've seen too many," said 80-year-old Air Force veteran Donn Spegal, a lifelong Republican from St. Petersburg, who sees McCain's new running mate as the kind of "wedge issue" social conservative that has made him disenchanted with his party. "I'm truly offended by Palin,'' said Republican Philinia Lehr, 37, of Largo, a full-time mother with a nursing degree who voted for George Bush in 2004. Like Palin, she has five children and she doesn't buy that the Alaska governor can adequately balance her family and the vice presidency. "You're somebody's mom and what are you going to do, say, 'Excuse me, country, hold on?' … She's preaching that she's this mom of the year and taking that poor little baby all over everywhere. And, you know, what she's doing to her 17-year-old daughter is just appalling.'' Lehr said she's bothered by the way Palin's pregnant daughter has been brought into the national spotlight. Of the 11 undecided voters participating in the discussion one recent evening at the Times — four Republicans, five Democrats, and two registered to no party — only two Republican men applauded the selection of Palin. FYI, Gallup Daily Tracking Poll for 20Sep08: Obama 50%, McCain 44% - Obama has held a margin over McCain in each of the prior four daily reports. The adoption of new, high-tech information technologies to locate and contact potential voters began in earnest in 2001 under the guidance of TargetPoint Consulting president Alex Gage, the Republican operative who earned a substantial share of the credit for the highly successful 2004 Bush-GOP microtargeting-GOTV drive. Gage, whose firm continues to work for the Republican National Committee, said his impression is that the Democrats have made giant steps in the technology of voter contacts, and are well positioned to capitalize on the support Obama has generated. Ken Strasma, president and founder of Strategic Telemetry, is performing microtargeting GOTV for the Obama campaign. He argues that, in some cases, the predictive accuracy of his firm's modeling of voter profiles is in the 99+ percent range. In the aftermath of the 2004 Republican victory, both the Democratic National Committee and Catalist, a company created by Democratic operatives Harold Ickes and Laura Quinn, began parallel voter list development programs. Strasma has used data from both the DNC and Catalist. Each category of voter as broken down by Strasma requires different methods of contact. Within the broad category of those committed to vote for Obama are both those who can be trusted to go to cast ballots November 4 with little or no encouragement, and those who are not reliable -- who will have to be pushed, prodded, and possibly driven to the polls. The undecided, in turn, fall into a host of categories, ranging from those with specific issue agendas to be addressed (taxes, Social Security, health care) to those wondering if they can bring themselves to vote for an African American. "Today I am asking all of you to stand up with me, to hit the road and spread the word that we must elect Barack Obama president and send a Democratic, filibuster-proof majority to Congress," Clinton told supporters in a conference call Friday. "This is a call to action, a must-do. We all have a role. And there is not a moment to lose." Clinton said the outreach "continues the historic journey that you have made with me." Photo of Clinton at a rally for Obama event in Ohio on Sept 16th. Note: The boundaries of the 3rd Texas Congressional District and the 4th Texas Congressional District meet in Collin County. Your U.S. House of Representatives TX Congressional District Number can be found on your 2008 Orange Voter's Registration Card within the box titled "Congress." Please vote early this year - you'll be glad you did. The first day of early voting is Monday October 20th. A former Fannie Mae executive has written to The New York Times in an effort to escalate Democrats' pushback to a McCain campaign ad accusing Sen. Barack Obama (D-Ill.) of guilt by association with former officials of the mortgage giant. The McCain ad, called "Advice," says: "Fannie Mae collapsed. Taxpayers? Stuck with the bill. Barack Obama. Bad advice. Bad instincts. Not ready to lead." Yesterday, Senator John McCain released a television commercial attacking Barack Obama for allegedly receiving advice on the economy from former Fannie Mae CEO Franklin Raines. 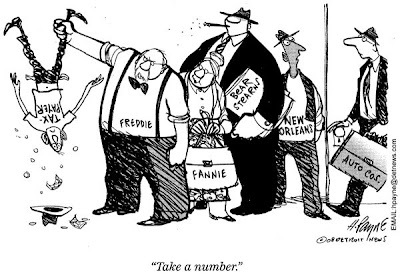 From the stump, he has recently tried tying Senator Obama to Fannie Mae, as if there is some guilt in the association with Fannie Mae's former executives. The United States became a net debtor under Reagan and these debts have grown rapidly under Bush 41 and Bush 43. Only under Clinton was the debt rolled back. In January 2001, the month President Bush took control of America from President Clinton, the Congressional Budget Office released budget estimates for each of the next ten years (2002-2011). As Clinton left office the CBO predicted that the 2009 budget would show a $710 billion surplus. So the $546 billion deficit now predicted for 2009 is actually $1.3 trillion worse than CBO predicted nearly eight years ago. $1 trillion worth of the deficit deteriation is directly due to actions by the White House and Congress since 2001 -- specifically, the tax cuts and spending increases they enacted. The new $500 billion-plus deficit numbers represent about 3.5 percent of the economy, which is the deficit measure seen as most relevant by economists. The two main reasons why the 2009 budget will be so much worse than CBO had predicted in 2001 are Republican tax cuts and increases in military and other security-related spending. Tax cuts alone account for 42 percent of the budgetary deterioration for 2009 that stems from policymakers' actions since 2001. Increases in military and other security programs account for another 39 percent. Combined, these two factors account for 82 percent of the budget decline that is due to policy actions. The tax cuts -- the largest of which by far was the giant 2001 Bush tax cut -- will cost $295 billion in 2009 alone. While nearly all taxpayers will receive some tax cut, the distribution of the tax cut benefits is highly skewed. In 2009, a typical household in the $40,000-to-$50,000 income range will receive a "Bush" tax cut of about $950; households with incomes over $1 million will receive tax cuts averaging $135,000. The Bush administration has mis-managed the federal budget situation to an alarming degree. Although they inherited a budget surplus, they have continually spent more then they have taken in. As a result, the US is issuing debt like its going out of style. Total debt outstanding has increased from $5.8 trillion in 2001 to the current total of $9.5 trillion. As a result of this problem, the currency markets have sent the (Trade Weighted Exchange Indexed) dollar lower for six years straight. If you were wondering why commodities in general and oil specifically have bee rallying for some time, you can thank the cheap dollar as a primary cause. The dollar has gone from peak to trough from nearly $130 to its current level of $72.75 -- or a drop of 44%. As the dollar has dropped in price, the dollar cost of commodities like crude oil and gasoline have have spiked in price for American consumers . One of the primary reason traders are bidding up commodities like oil and gasoline is as an inflation hedge. The Republican controlled congress -- increased discretionary spending from 649 billion in 2001 to 1.041 trillion in 2007. In short, the Republicans went on a spending spree while at the same time cutting taxes. That is a recipe for disaster. But there is another, deeper problem at work here. The figure that is being reported is a dishonest figure because it counts the social security surplus. Remember in 2000 when Al Gore was talking about a "social security lock box"? What he was saying is we should take all of the surplus money paid into social security and not spend it now. However, that is exactly what we are doing and have been doing for a very long time. As a result, the "unified" budget deficit -- the figure reported in the press -- is, well a lie. The correct way to look at the budget deficit is to see how much debt we are issuing. And that figure is far worse than what is being reported. Here are the yearly amounts of total debt outstanding. The point of all this is clear: the US' budget is structurally running a deficit to the tune of $500 billion dollars a year for the last five years. This is far worse than is being reported in the press. Sen. John McCain promises that, as president, he would "cut taxes," mostly for corporations and wealthy individuals. But McCain's economic plan could create deficits as deep as 5.7% of GDP by the end of a two term presidency -- the highest federal budget deficit in 25 years -- and would accumulate the biggest debt since the second World War, according to a new analysis by the Center for American Progress Action Fund. McCain's current fiscal plan would recklessly exacerbate the fiscal irresponsibility of the Bush Administration further by gutting revenues far below the average level of the past 25 years. For the past 25 years, deficits have never been more severe than 5% of GDP, with surpluses as high as 2.4% of GDP in the year 2000. Under McCain, yearly deficits would increase sharply, beginning with $505 billion in FY2009 (3.4% of GDP) and skyrocket to $1.2 trillion (5.7% of GDP) by FY2017. In 2018 these deficits would reach 6% of GDP, tied with the largest deficits since WWII. McCain's "tax cut" plan would further weaken the the (Trade Weighted Exchange Indexed) dollar value causing the cost that Americans pay for gasoline to further to climb to $5, $6, $7 or more per gallon at the pump. Obama's economic plan would at least reduce the budget deficit growth and possibly even begin to again reduce the budget deficit. This in turn could begin to strengthen the (Trade Weighted Exchange Indexed) dollar value which would in turn begin to reduce the $4 per gallon price of gasoline back to something under $3 per gallon. Which is more important to you - McCain's lower taxes for corporations and the wealthy creating a weaker dollar, which leads to higher gasoline prices at the pump? OR, Obama's lower taxes for everyone who earns under $250,000 per year and higher taxes on the wealthy, which will create a stronger dollar and lower gasoline prices at the pump for everyone? 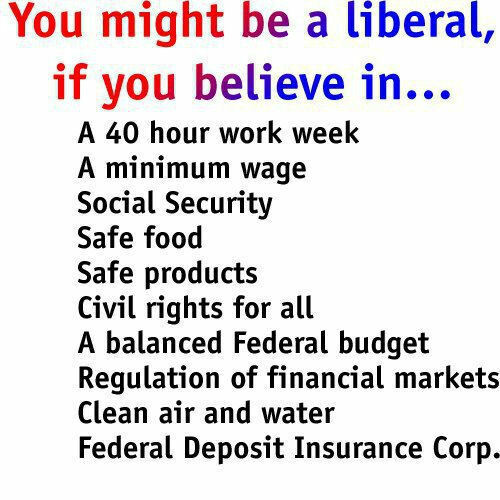 It's up to you, the voter, to decide! With music from "Les Miserables," the video shows a Obama campaign office filled with supporters hoping for a better future. The discussions on the fringes of the [Democratic] convention often returned to another era: the 1930s. Progressives pointed to a panoply of problems facing the country: deepening economic downturn, environmental and economic crises based on our dependence on oil, record economic inequality, a broken healthcare system, and inadequate public investment in education and infrastructure. Redressing these failings will require a "transformational presidency," like that of Franklin D. Roosevelt, as journalist Robert Kuttner argues in his new book, Obama’s Challenge. They will require the "next New Deal," according to U.S. Action, a coalition of statewide citizen organizations. But conventional wisdom, often even among Democrats, denies the possibility of grand government action that makes most people’s lives better. That wisdom, according to Kuttner, says: There’s no money. Government doesn’t work, except to cut taxes. It must bow before private markets. Barack Obama's campaign is releasing a new television ad in which the Senator, speaking directly to the camera, lays out his economic agenda. Obama says in the new ad, "The truth is that while you've been living up to your responsibilities, Washington has not. That's why we need change. Real change. This is no ordinary time and it shouldn't be an ordinary election. But much of this campaign has been consumed by petty attacks and distractions that have nothing to do with you or how we get America back on track." John McCain together with all of his spokespersons, which too often includes the established news media, are "marketing" McCain as a "Maverick Centrist Republican." In truth, when the vote really counts, McCain has always voted with other far-right conservatives in the U.S. Senate to enact the far-right conservative philosophy into federal law and to confirm far-right conservative judges for the U.S. Federal and U.S. Supreme Courts. This is particularly true on the issue of women's rights.